Using approved SLD steel, this series is an eyecatcher as the blade has a special look. 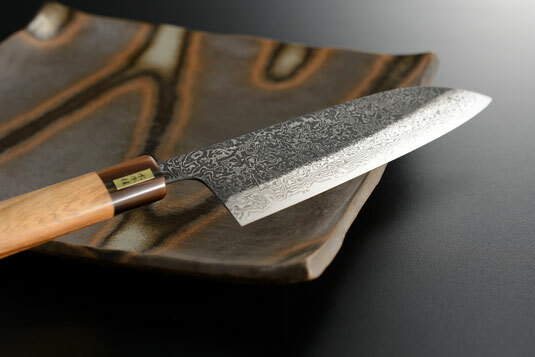 This results from different finishing techniques for edge and blade of the knives. Outstanding in many ways. Core: Stainless SLD steel, hardened to HRC64-65. Handle: Strong Japanese Enju wood. Bolster ferrule made out of black buffalo horn.